Members of Conestoga’s Student Engagement team recently shared their expertise in the delivery of Co-Curricular Record (CCR) programming at two national events in Ottawa. The team shared best practices and data findings during a CCR summit and presented at the Canadian Association of College and University Student Services’ (CACUSS) annual conference. 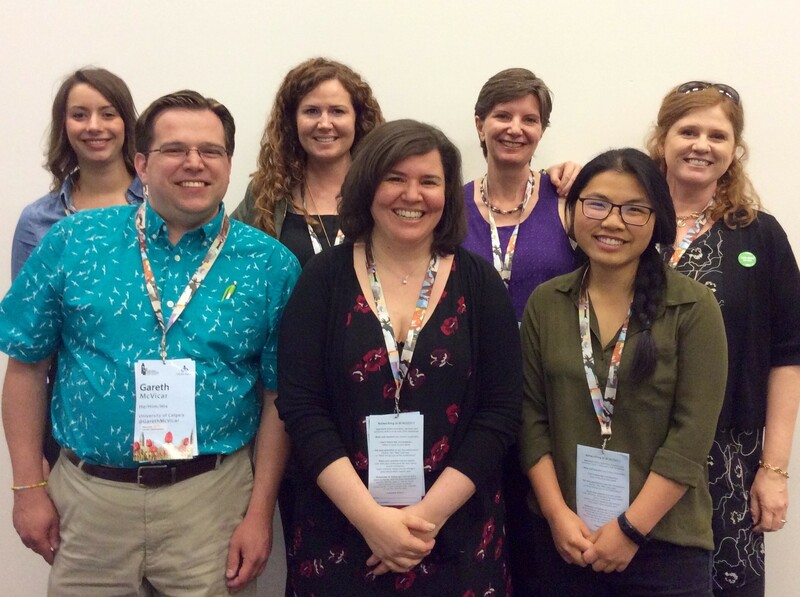 Conestoga's Amy Baird, second from left back row, shared CCR best practices at the Canadian Association of College and University Student Services’ annual conference in June. Conestoga is one of 17 colleges in Canada to provide students with a CCR to document and authenticate participation in approved co-curricular experiences. The CCR contributes to learning and employability, and Student Engagement manager Amy Baird said Conestoga has become a true leader in delivering CCR programming. Conestoga has seen expansive growth in both CCR offerings as well as overall student participation since its launch in 2014; during the 2016-17 academic year, the college’s CCR hosted over 400 events that resulted in more than 7,000 student participations. During the past two years, Baird has served as the co-chair of the National Community of Practice (CoP) for Co-Curricular Records. The CoP includes more than 200 members across more than 80 Canadian post-secondary institutions. In her role, Baird has delivered numerous presentations to provide advice, information and support for institutions at various stages of implementing a CCR. On June 8, Baird, along with colleagues Laura Black and Kendra Foord, attended the CCR Summit at Algonquin College which welcomed CoP delegates from across the country. Black and Foord shared an evidence-based presentation on student engagement and retention at Conestoga, and provided delegates with an overview and analysis of CCR student engagement data. They examined approaches used at the college to measure student engagement and shared strategies to increase student engagement within the college’s diverse student body. They also had the opportunity to share these findings at Conestoga’s annual employee conference this year. On June 12, Baird was involved in a presentation on the past, present and future of CCR programming in Canada at the CACUSS annual conference - an event that attracts more than 800 professionals from post-secondary institutions across the country.